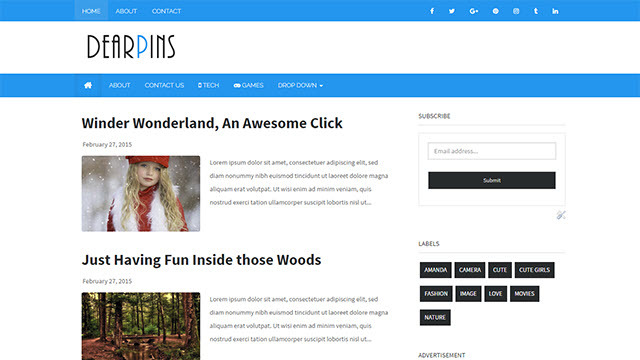 Description: Dearpins Responsive Magazine Blogger Templates is a simple magazine responsive blogger template. It is best suited for niche blogs like, tech blogs, gadget blogs or any kind of similar blogs. It is having a simple magazine blog template structure. It is blogger template friendly blogger template, so color customization is pretty easy.